Designed by award winning Koji Murai, A Minstrel plays guitar for a lady that dances. 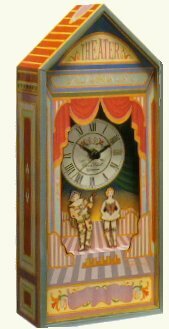 Clock & Music Box. Plays "Minuet". Dimensions: 4.96 inch x 2.76 inch x 11.81. inch.